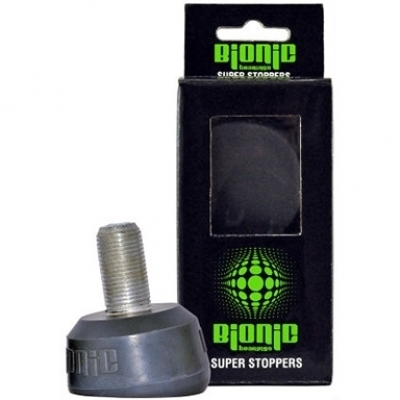 Bionic Super Stoppers are perfect for today’s high-performance roller sports and the demanding skater. Perfect for all skating surfaces, Bionic Super Stoppers have a large footprint, (45mm), for maximizing grip, stability and agility. They are built to last and come pre-angled to cut down on break in time. No marks! Safe on every floor.